As she embarks on her 2020 Presidential bid, Elizabeth Warren learned today she has been made an honorary member of the Cherokee Nation and granted the name Pocahontas. In a statement, tribal leaders said they were not a big fan of people like Warren playing up their sliver of Native American heritage, but they disliked what Trump is doing even more. 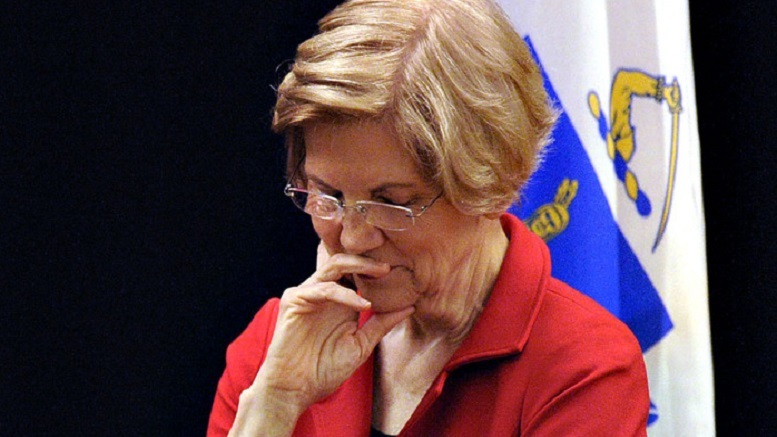 They are suggest Warren quiz Trump on Native American issues next time he brings it up, and see if she can trip him up. 3 Comments on "Cherokee Nation Makes Elizabeth Warren Honorary Member With Name Pocahontas To Spite Trump"
I notice this is a satirical site. It’s too bad, because I agree with the Patricia & Robert Gouin comment wholeheartedly. I am from the generation just ahead of Sen Warren. During my time in college the “ethnicity boxes” appeared on all documents which required our vital statistics. Very little was said about why they were there. So many of us who have an abeit unknown amount of Native American Herigage proudly checked the box. We never tried to claim any benefits, we were just trying to help out. It is really as simple as that. Something that my great grandmother preferred to hide…two generations late we were proud of. If this is not the truth, but is only satire, it is a great idea that the whole of the Sovereign Indigenous First Peoples NATION of Tribes should embrace as a Nation within our Larger Whole Nation! That would create a tremendous amount of needed support for our indigenous people and their Nation of Tribes if they would declare all the people who identify as having even the slightest of indigenous blood heritage in them as “honorary members!”,( possessing no “rights beyond that Honor alone!”, of their greater National Indigenous Nation of Tribes)! There are tens of millions of United States CITIZENS who are related by blood to our Wonderful First Peoples NATION of Indigenous peoples Tribes, and they will be well served by all of us! This is not only a wonderful idea, but is long long overdue!